Carmen Ortiz, the US Attorney in Massachusetts, appears to be feeling some of the heat of the global anger over her prosecution of Aaron Swartz — an unrelenting prosecution that many (including the family) blame for his suicide. Ortiz is attempting to portray this abusive and unnecessary prosecution as prosecutors merely enforcing the law in compliance with their oath. 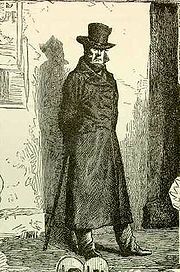 They were, according to Ortiz, something akin to a legal version of Inspector Javert — committed to the enforcement of the federal law without discretion or judgment. Ortiz, who had remained silent, appears to have accepted that the case is presenting a serious problem for her and begins with a statement of sympathy that was entirely absent in the treatment of Swartz by her office and Assistant United States Attorney Stephen Heymann who has been linked to another suicide of a defendant. As a parent and a sister, I can only imagine the pain felt by the family and friends of Aaron Swartz, and I want to extend my heartfelt sympathy to everyone who knew and loved this young man. I know that there is little I can say to abate the anger felt by those who believe that this office’s prosecution of Mr. Swartz was unwarranted and somehow led to the tragic result of him taking his own life. I must, however, make clear that this office’s conduct was appropriate in bringing and handling this case. The career prosecutors handling this matter took on the difficult task of enforcing a law they had taken an oath to uphold, and did so reasonably. The prosecutors recognized that there was no evidence against Mr. Swartz indicating that he committed his acts for personal financial gain, and they recognized that his conduct – while a violation of the law – did not warrant the severe punishments authorized by Congress and called for by the Sentencing Guidelines in appropriate cases. That is why in the discussions with his counsel about a resolution of the case this office sought an appropriate sentence that matched the alleged conduct – a sentence that we would recommend to the judge of six months in a low security setting. While at the same time, his defense counsel would have been free to recommend a sentence of probation. Ultimately, any sentence imposed would have been up to the judge. At no time did this office ever seek – or ever tell Mr. Swartz’s attorneys that it intended to seek – maximum penalties under the law. It is always amusing to hear an Obama Administration official speaking of the obligation to prosecute federal crimes after President Obama promised CIA officials no one would be prosecuted for torture (a war crime as well as a federal crime) and the Justice Department was unwilling to bring a single charge — even for CIA officials who admitted that they destroyed evidence to bar prosecution. The Justice Department was unwilling to even bring bar complaints against attorneys facilitating the torture program. Yet, they had no alternative but to prosecute Swartz even though he downloaded academic papers later released free of charge and never had a financial or personal motive in his actions. Her claim of an office struggling with its desire not to severely punish Swartz is belied by the evidence. First, asking for jail time was always an absurdly out-of-proportion demand and Ortiz admits that they insisted on jail time. Second, her office ADDED CHARGES to the indictment rather than, as she suggests, seeking a sensible plea. 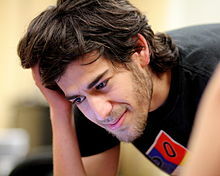 The original indictment contained four charges against Swartz with a maximum potential jail time of 35 years. Her office issued a press released heralding their severe charges against Swartz as linked in the article below. Then her office piled on NINE MORE CHARGES with a maximum sentence of up to 50 years. In other words, the statement is at best misleading and at worse intentionally deceptive. Moreover, reports indicate that Heymann was insisting on more severe punishment in any plea. The entire prosecution was abusive and not only Ortiz but the Obama Administration was subject to criticism for months for their mistreatment of Swartz. They continued the prosecution because they had no sympathy or decency. However, when their prosecution became a global scandal, Ortiz and the Administration suddenly has portrayed themselves as reluctant — even tortured — public servants forced to prosecute this man. Ortiz should not be surprised if her “heartfelt sympathy” seems a bit forced and opportunistic after the public outcry. More importantly, such sympathy would be more credible if it were accompanied by greater veracity in her statement of the underlying facts of this case. And everyone is surprised by this? The Obama administration is the 2nd side of the same coin as bush/cheney. I owned my flat in new jersey by clearing all the agreements,but the issue with us that,they want another agreement which is to be signed by us for the sake of their security,but y should i sign,if i already owned it. So the prosecutor can add new charges after a grand jury indictement. Hmm, that isn’t subject for abuse, is it? The prosecutor can indict under a low level charge with a grand jury then charge to its’ heart desires in stronger felony charges, later on? What an abuse of power. Care to elaborate on the story you posted?